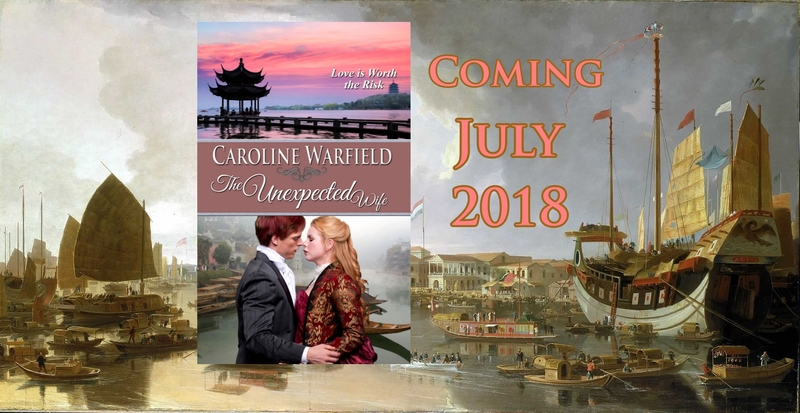 Today on First Kiss Friday I’d like to welcome back my dear friend, Caroline Warfield who will be sharing an excerpt from her upcoming release, The Unexpected Wife. Before this scene, Charles has gone missing inside the city of Canton, forbidden to foreigners, for three days. Happy reading and enjoy! One other thing took shape and came into focus so sharply she couldn’t turn away. She loved Charles Wheatly, heart and soul. A desperate laugh, half sob, half hysteria escaped her at the thought. She finally fulfilled her mother’s fondest wish and found a man she could respect and love—one that offered little hope of a respectable future. She had no idea what to do with the thought. As it turned out she had little time to consider it. “Who is here?” Charles demanded. He stood outlined in the light from oil lamps in the corridor behind him. Caught between love and fury over the fear he caused, she flung herself from the chair. “Thank God!” She didn’t know whether she would hug him or slap him until she threw herself into his arms and was being kissed senseless. He pulled his lips from hers and kissed his way down her neck. “What is this foolishness?” he asked against a tender spot beneath her right ear. His gentle hands began to roam. He shifted and pulled her closer, kissed her more deeply. She felt one of his hands, warm against her skin, slip under her lose jacket. Zambak melted against him, but reality intruded as the initial heat subsided. “You stink!” She pulled back a few inches, his arms still holding her, and wrinkled her nose. She pulled away reluctantly, one hand clinging to his, and picked up a candle from his bedside to light it from one of the oil lamps in the hall. She looked him up and down with disgust, put the candle down, and began undoing the heavy robe. “Let’s get you undressed,” she said setting words to action. She unwound the filthy strip of cloth, cringing at the seeping wound running almost the length of his upper arm. “Cow slop! This can’t wait. You spent the night in filth.” She punched his shoulder then. The Unexpected Wife, will be released on July 25. Traveler, would-be adventurer, former tech writer and library technology professional, Caroline Warfield has now retired to the urban wilds of Eastern Pennsylvania, and divides her time between writing and seeking adventures with her grandbuddy. 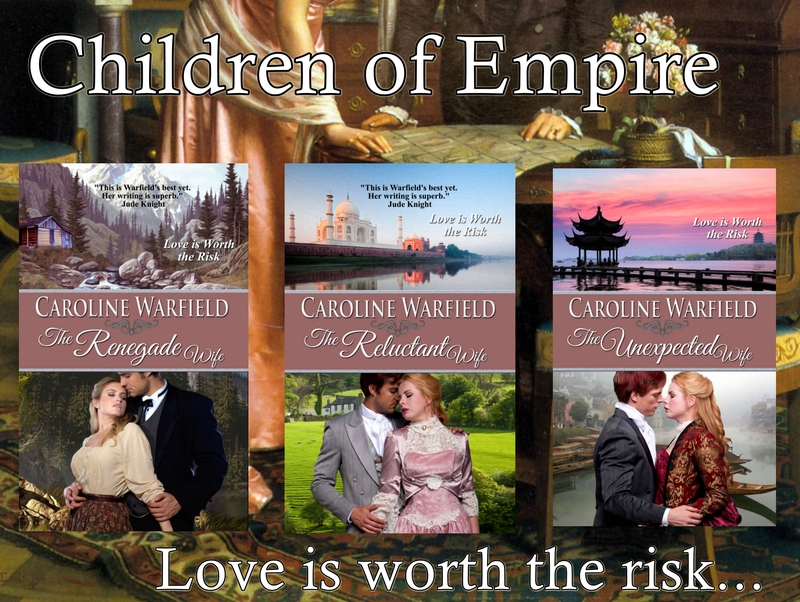 In her newest series, Children of Empire, three cousins torn apart by lies find their way home from the far corners of the British Empire, finding love along the way. 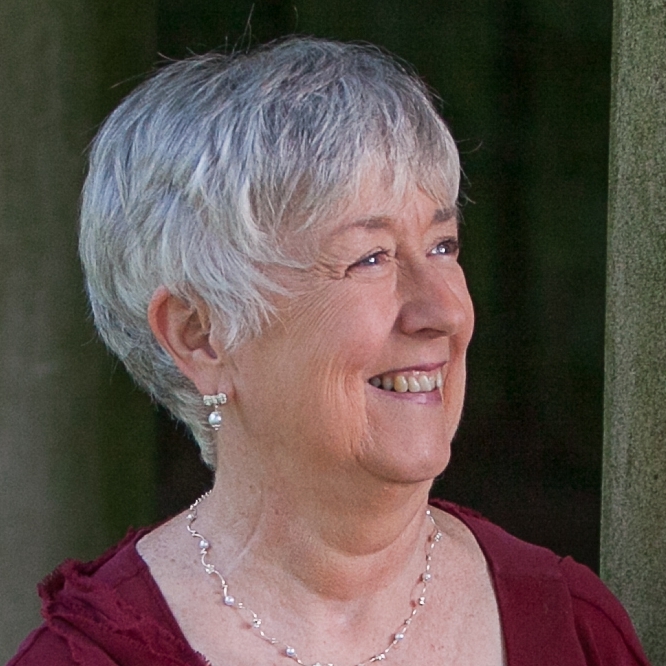 She has works published by Soul Mate Publishing and also independently published works. In addition she has participated in five group anthologies, one not yet published. Oh my gosh! Be still my heart! I love this blurb and cannot wait to read. The video was scrumptious! I loved the first 2 books in this series and have been waiting for this one. Thanks for making my Friday!! Thank you so much! I just finished responding to my editor’s comments, and doing some tweaking. You won’t be disappointed! Great kiss, intriguing book. Thanks. You’re going to love this book! An excerpt from Caroline Warfield’s July release, The Unexpected Wife. So excited to read Charles story. He is my hero. I would marry him in a heart beat. You can’t get a better man than him. Im still waiting on my Charles maybe one day I will find him. Love this series. Caroline makes you feel like your family when she writes.